In Memory of US President George H W Bush. 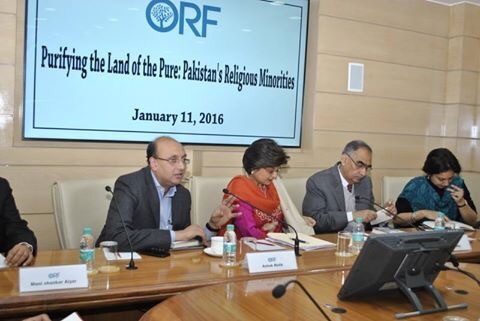 In recent years, Pakistan—a Sunni Muslim majority country with Shia Muslim, Christian, and Hindu minorities—has been convulsed by sectarian violence. More than 2,000 people have been killed in sectarian attacks since 2008, and last year sectarian killings rose by more than a fifth from 2012. 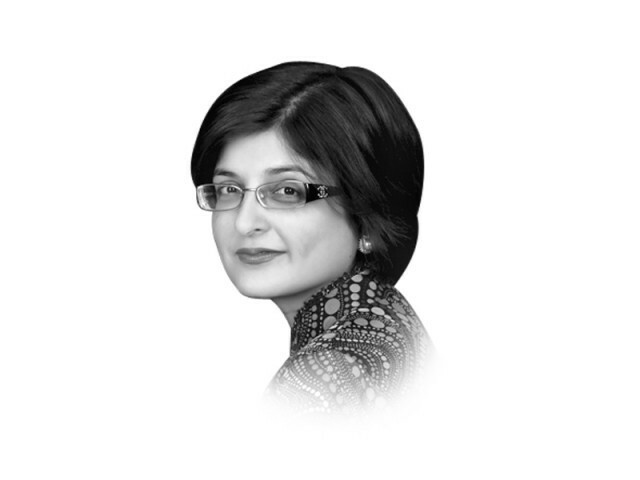 Farahnaz Ispahani, a Wilson Center Public Policy Scholar and former Pakistani parliamentarian and journalist, will discuss the roots of Pakistan’s sectarianism and her broader Wilson Center project—an analysis of Pakistan’s policies toward its religious minority populations (Muslim and non-Muslim) since independence. 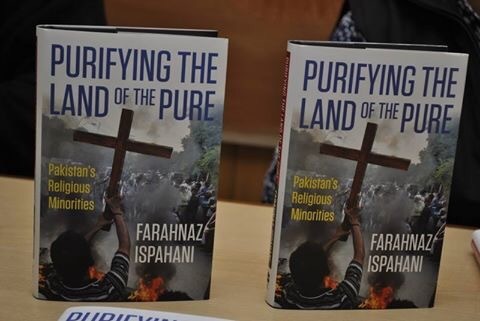 n recent years, Pakistan—a Sunni Muslim majority country with Shia Muslim, Christian, and Hindu minorities—has been convulsed by sectarian violence. More than 2,000 people have been killed in sectarian attacks since 2008, and last year sectarian killings rose by more than a fifth from 2012. 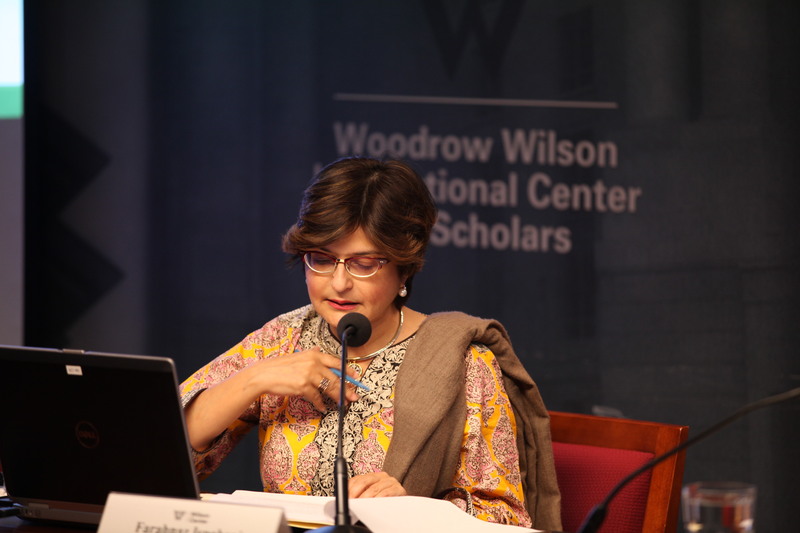 Farahnaz Ispahani, a Wilson Center Public Policy Scholar and former Pakistani parliamentarian and journalist, will discuss the roots of Pakistan’s sectarianism and her broader Wilson Center project—an analysis of Pakistan’s policies toward its religious minority populations (Muslim and non-Muslim) since independence. As Pakistani mangoes made their way to Chicago with their unique fragrance and sweet flavor, the country’s ambassador to the United States voiced the hope that export of the King of Fruits would help bolster trade and broader bilateral relations between the two nations.Ambassador Husain Haqqani traveled to Chicago to introduce mangoes from the first Pakistani shipment that landed here Friday.“We have successfully completed the process which involved a lot of stages….we went about methodically, identifiying the various steps to make this push for mango export to the U.S. see light of the day,” Haqqani said, referring to the two-year process that enabled export of the fruit from Pakistan to the United States. 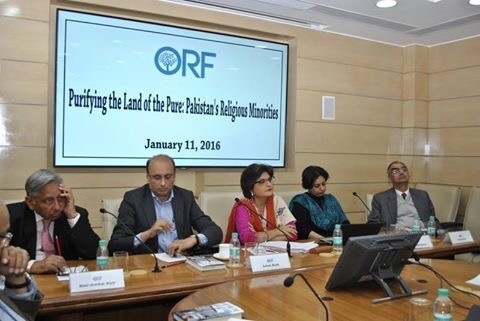 Member National Assembly Farahnaz Ispahani, Pakistani consul generals, Pakistani-American businessmen and Americans from Chicago attended the event. 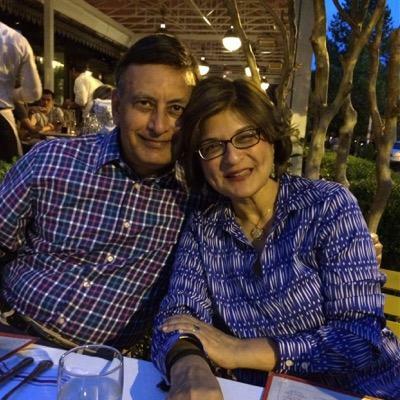 The event exhibited how the mangoes can be used in various recipes, drinks, salads , ice creams and attracted a large number of Chicagoans including Pakistani-Americans. The Pakistani envoy said President Asif Ali Zardari and Prime Minister Yusuf Raza Gilani particularly wanted to introduce and spur commerce of the popular fruit, which can symbolize improvement and expansion in Pakistan-U.S. relations, the ambassador noted. Americans consume mangoes worth more than $ 250 million every year and the country holds immense promise for Pakistani exporters. Toni Periwinkle, Cook County Board President, welcomed the arrival of Pakisani mangoes to Chicago and said the fruit will introduce Pakistan to Americans and help promote understanding between the people of two countries. 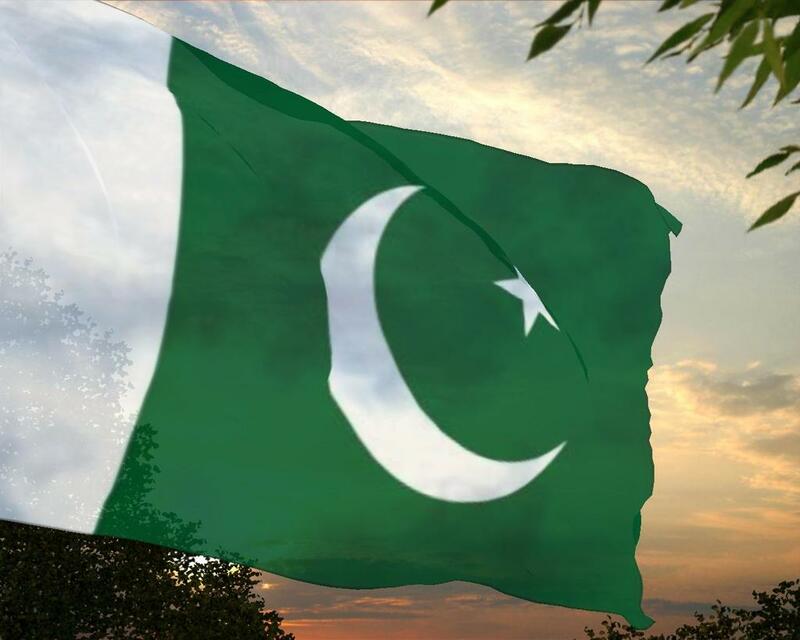 Zaheer Pervez Khan, Pakistani Consul General in Chicago, said the Pakistanis in the city and local people are thrilled to find popular Pakistani fruit in their midst. Meanwhile, U.S. Agriculture Secretary Tom Vilsack, said the United States and Pakistan have worked closely to open this new market to mango growers in Pakistan and make additional choices available to U.S. consumers. Irradiation treatments allow USDA to facilitate the safe importation of mangoes from Pakistan while protecting U.S. agriculture from harmful pests and diseases. 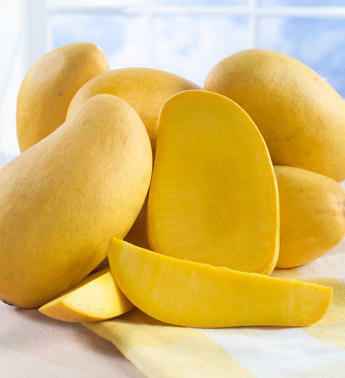 USDA’s Animal and Plant Health Inspection Service (APHIS) approved the importation of commercial shipments of fresh mangoes from Pakistan in August 2010. According to the Department, the mangoes must be treated with specified doses of irradiation at an APHIS-certified facility to ensure that plant pests of quarantine significance do not enter the United States. Irradiation treatment may be applied prior to or upon arrival into the United States. 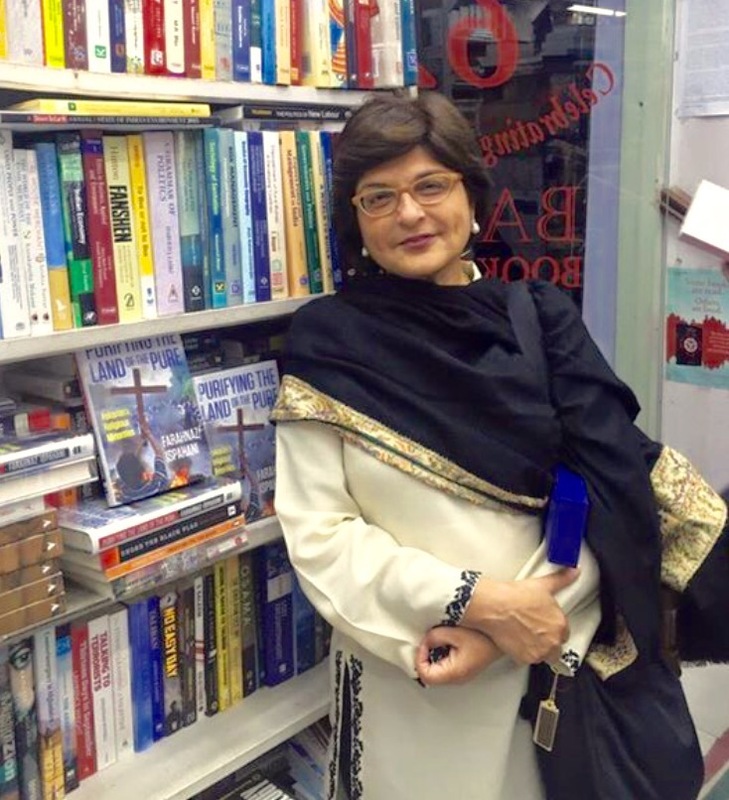 Islamabad July 4: 5th July will always be remembered as a black day in the history of Pakistan when in 1977 a dictator tried to extinguish the flame of democracy, trample the constitution and silence the voice of the oppressed, said PPP MNA and President’s Media Adviser Farahnaz Ispahani. In a statement issue here Monday she said that the day reminds us how Pakistan’s first popularly elected Prime Minister, Shaheed Zulfikar Ali Bhutto and members of his cabinet were arrested under the order of General Zia, the then Chief of Army Staff. Ms. Ispahani said that the democratic ideology of ZA Bhutto Shaheed lived on in the the shape the 1973 Constitution that promises a democratic, participatory and pluralistic future for the people of Pakistan. While most Pakistanis today condemn the usurper look upon their eras as dark ages of Pakistan. She reminded that Shaheed Zulfikar Ali Bhutto gave a unanimously appproved Constitution of 1973, according to which concurrent list should have been abolished within 10 years, giving autonomy and rights to the provinces. But successive dictatorships damaged the spirit of the federation. Now according to the real spirit of Constitution of 1973, the present government have given full autonomy to the provinces by abolishing 17 federal ministries and transferring of all powers. The empowerment of provinces was a dream of Shaheed Bhutto eventually fulfilled by the government of PPP, founded by him, Ms Ispahani said. Ms Ispahani said that Shaheed Bhutto laid the foundation of Pakistan’s first steel mill which was an initiative to build up Pakistan industrially. The second Islamic Summit inaugurated in Lahore was aimed at bringing Islamic countries on a single platform. Heads of States of most of the 38 Islamic countries attended the Summit. The way Bhutto rose and introduced Pakistan around the globe politically, remains a unique feat, historically speaking. 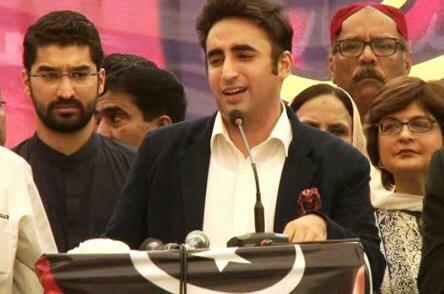 Recognition for Pakistan’s nuclear capacity also belongs to Shaheed Bhutto. The Karachi Nuclear Power Plant was started by Zulfikar Ali Bhutto at the end of 1972 when he was president but, prior to it, as minister for fuel, power and national resources, he played a vital role in creating the Pakistan Atomic Energy Commission. He also established the Kahuta facility, said Ispahani while applauding Shaheed Bhutto’s efforts. Miss Ispahani further said that Z A Bhutto introduced the Economic Reform Order, Land Reforms, Labour Policies in which workers could participate in profits, were steps towards eradicating poverty from the country. Old age pensions and group insurances were given to retired persons in order to make their lives comfortable. Institution of National Book Foundation, Quaid-e-Azam University Islamabad and Allama Iqbal Open University are the landmark foundations of Z A Bhutto to educate the nation as per international standards. Identity Cards for Citizens, Establishment of Port Qasim Authority, and establishment of NDFC are also to the credit of ZA Bhutto Shaheed. 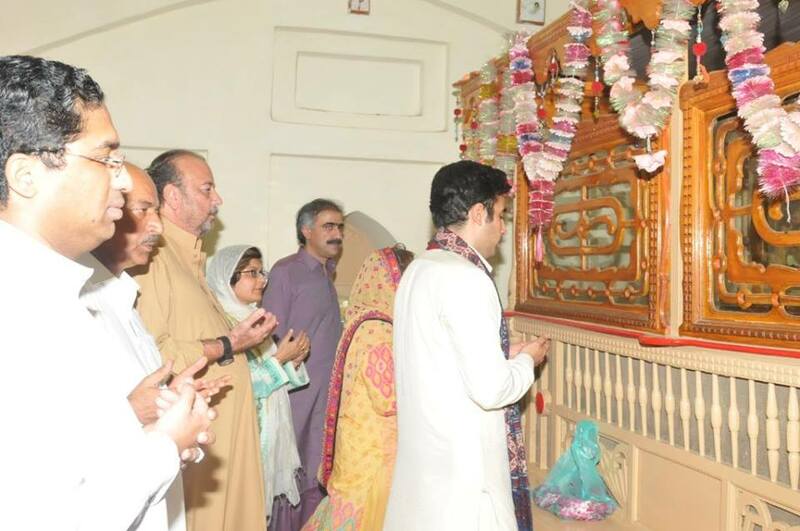 Highlighting Z A Bhutto’s personality, Farahnaz Ispahani said, Shaheed Bhutto was also a champion of human rights, especially the rights of women. His democratic regime had a very positive and liberal attitude towards women. For the first time in the history of Pakistan, all government services were opened to women, as were education opportunities at all levels. 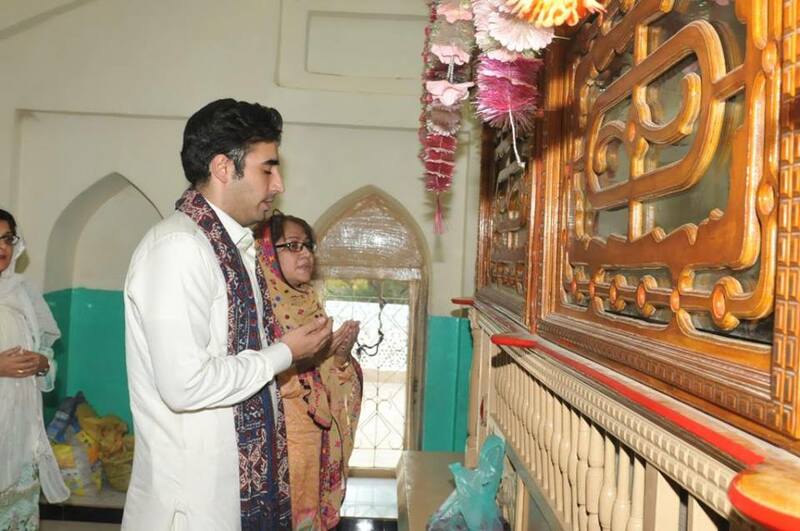 Shaheed Bhutto had the courage of his conviction to risk his life rather than compromise or seek the appeasement of a dictator, Miss Ispahani stated. “We all need to consult his thought and political ideology again and again to seek solutions for our problems today”, she concluded. Reiterating her firm commitment to eradicate Polio from Pakistan, Ambassador for Polio Eradication Ms. Aseefa Bhutto Zardari today emphasized upon the need for collective partnership and volunteerism in order to completely banish Polio from the country especially among the marginalized and poor in the far flung areas. This she said today at Aiwan-e-Sadr while addressing a gathering at a special function to mark the partnership of BISP with the polio eradication program in the country. During her remarks, she said that unfortunately Pakistan was among few countries which was still not completely polio free and this crippling disease continues threaten opportunities for the children. She said that despite challenges we are committed to banish polio from Pakistan. Ms. Aseefa said that partnership with BISP was aimed at taking the polio eradication program to the marginalized and poor in the far flung areas. She complimented BISP and all those who made the launch of this initiative possible. She also complimented all national and international organizations and bodies that were helping to eradicate polio from the country. She appreciated and thanked international partner agencies, specially acknowledging the contributions of Gates Foundation to saving Pakistani children from polio. She said that the Polio Eradication Initiative was, first launched by the government of her mother Shaheed Mohtarma Benazir Bhutto. “Indeed the Lady Health Workers Programme and Polio Eradication Initiative were both launched by her Government.” She was the first Prime Minister to have personally administered polio drops, to a Pakistani child and that child was no other than me- standing here before you. She said. She said that she feels honoured that the UNICEF nominated her as the Ambassador for Polio Eradication. “Being the first child to be protected and as Ambassador for Polio Eradication I feel it is my duty to save the less fortunate from the horrors of this disease.” She remarked. Ms. Aseefa said that due to her studies she could not personally attend last year’s event of polio eradication in the Presidency. But, she continued, in her message she promised deep commitment to carry forward the mission of her great mother. She said that her standing here before the gathering today was a testimony of that commitment. She said that Pakistan has come a long way from 1994, when the polio eradication campaign was first launched formally. 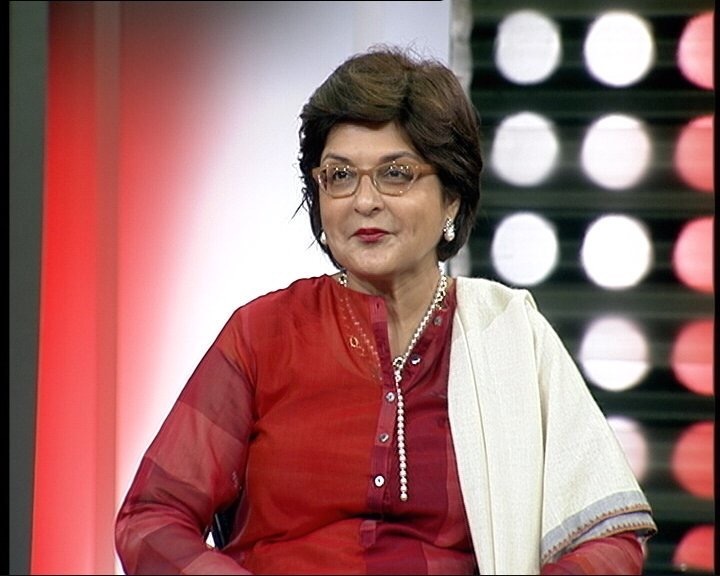 She said that since then polio cases have come down significantly which at that time were more than 30,000. However, she said, we are not yet completely polio free. “Our aim is to make Pakistan completely polio free.” She said. “We aim that no child lives in the fear of being crippled for life.” She said. Ms. Aseefa stressed upon the need for producing polio vaccines within the country and hoped that Pakistan-China MOU on cooperation in manufacturing of vaccines would also be extended to manufacturing of polio vaccines in Pakistan for nation wide anti polio programs. Emphasizing upon child health being the collective responsibility of all, she said that it was a matter of great pleasure to learn that sectors outside the health were also playing a positive role. “We need this spirit of partnership in the country at this critical time.” She said. “Let us make a determined effort that no child who should get polio drops, will be missed out.” She continued. She said that we are mindful of the challenges polio campaign has been facing. But, she continued, no challenge was too big to stop us from saving our children for polio and ridding the world of this disease. 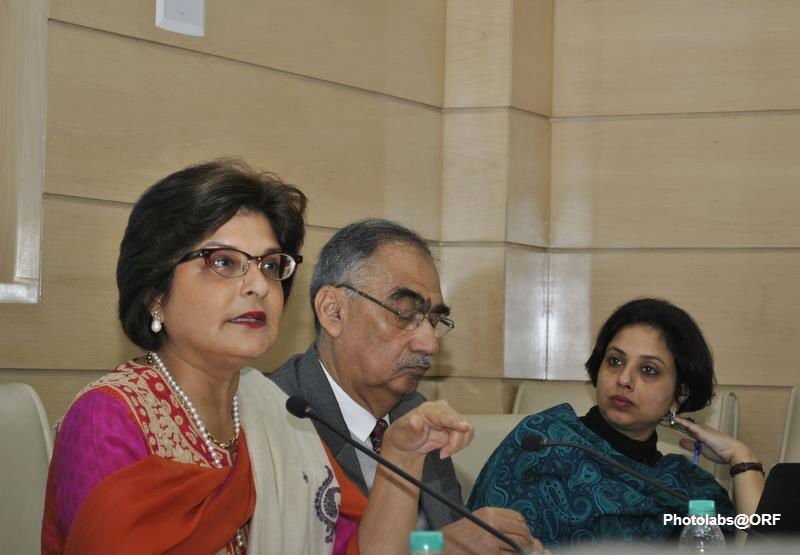 “We cannot be the last country to eradicate polio.” She said. 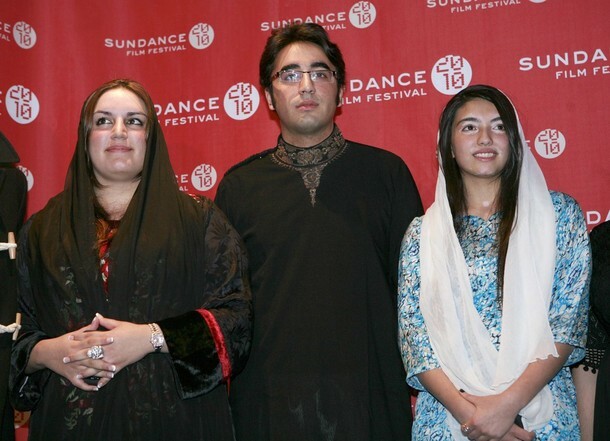 Ms. Aseefa said that some extremists have opposed polio eradication plans. But in Pakistan of the Quaid-i-Azam and Quaid-i-Awam we cannot allow extremists to stop us from carrying forward the welfare agenda, she said. “With democracy taking roots, these forces are bound to fail.” She remarked. She said that diseases know no borders and mankind has a collective responsibility towards children of the world. Together, she emphasized, we must strive to ensure that tomorrow’s world is free of this scourge. On this occasion, she also administered polio drops to the children. 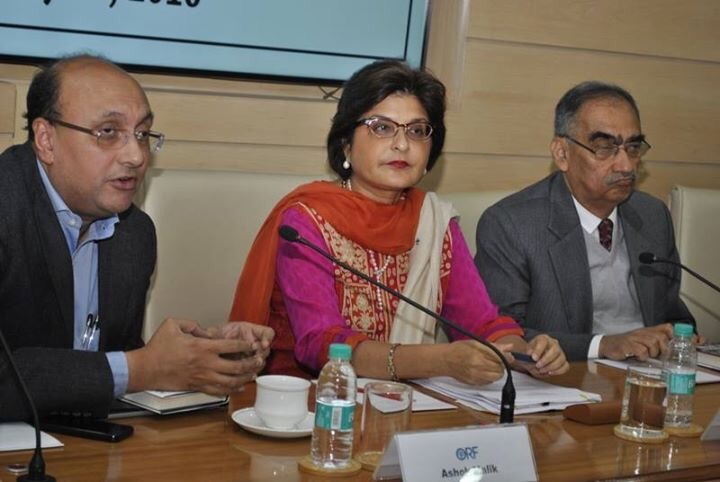 Unless Pakistan expands its tax base and sustainable economic growth is achieved with resources generated within the country, it is mere fantasy to say that any of the provinces would be able to execute development projects without external financing, said Farahnaz Ispahani the Media Advisor of President of Pakistan. “Punjab continues to receive loans from many countries and international donor agencies for aid projects even after its government leaders’ recent pronouncements against US aid”, she added. Ms Ispahani said that “the IMF and the World Bank are multilateral institutions of which Pakistan is a contributing member and asking them for assistance or aid is in no way a blow to our self-respect” — a fact Senator Dar reasonably acknowledged in 2008. “Collective efforts to address our economic troubles are the need of the hour rather than political ploys and games that simply muddy the national discourse”, Ms Ispahani emphasized. ISLAMABAD: Pakistan Peoples Party leader Farahnaz Isphahani has said government has given an excellent budget despite the difficult situation in the country. Talking to a news channel, she praised Finance Minister Dr Hafeez Sheikh saying that balancing the budget was not an easy task under the given circumstances but he managed to give a balanced budget. She hailed the FBR’s decision to widen the tax base. She urged people, especially the well to do lot to pay their due taxes promptly.